Hiiii babes! 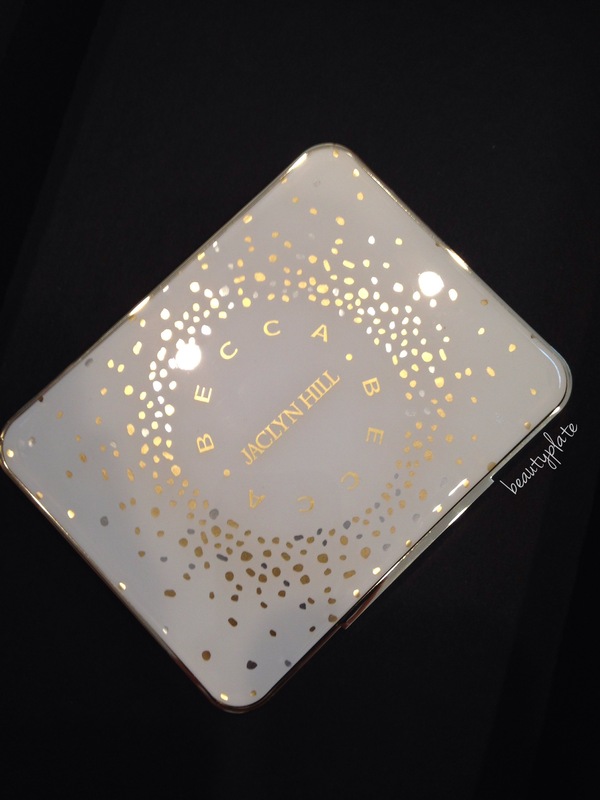 Remember that Becca Cosmetics Jaclyn Hill face palette I talked about last?!?! Well get ready because the Champagne Glow Face Palette is Available TODAY June 16th On Sephora.com and Sephora.Ca at 9am EST and IN Sephora and Sephora/JC Penny Stores! 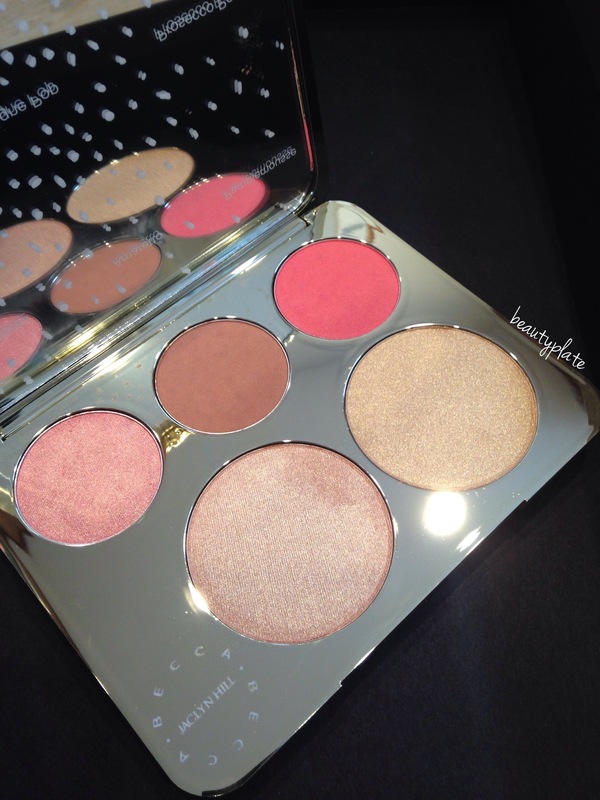 Let’s take a look at this stunning palette! She’s really gorgeous! 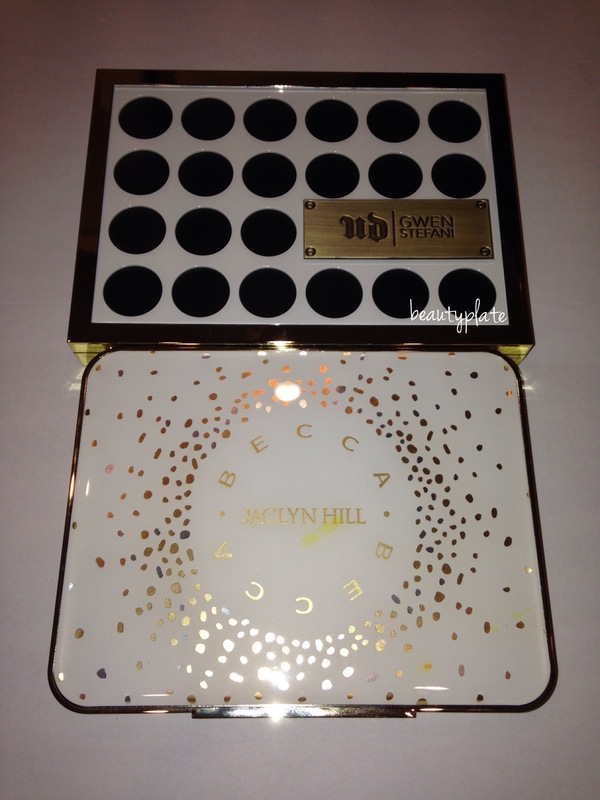 It’s a beautiful design with gold and silver flecks housed and protected with a shiny gold bottom, metal palette. The clear top is a little rubbery feeling. Easy to wipe, but gives a little tug on the cloth. I actually like that because it seems it won’t scratch as easy. Closer look of the top. So pretty. 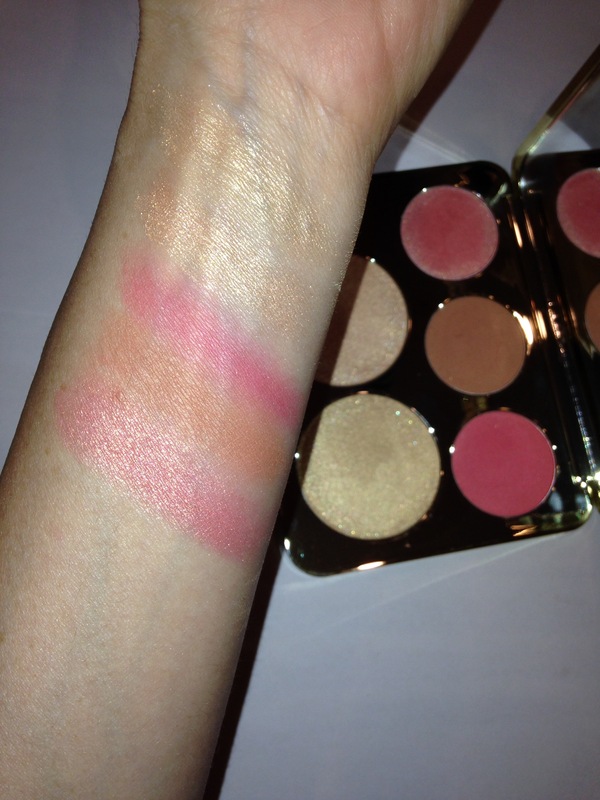 Palette includes 2 FULL sized Highlighters and 3 blushes. If you were to purchase the 2 highlighters separately, that total alone would cover the value of this palette. 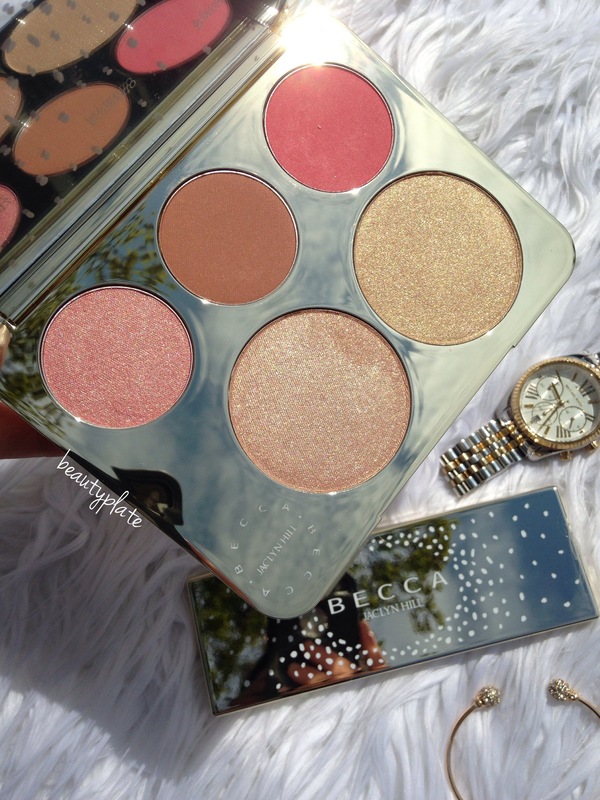 It’s the perfect purchase for those who want to dabble into the BECCA brand able to try more colors and these amazing highlighter Jaclyn created. And an added bonus is, it’s also a collectors piece. Here’s another look of the palette outdoors. Everything about this is perfection. 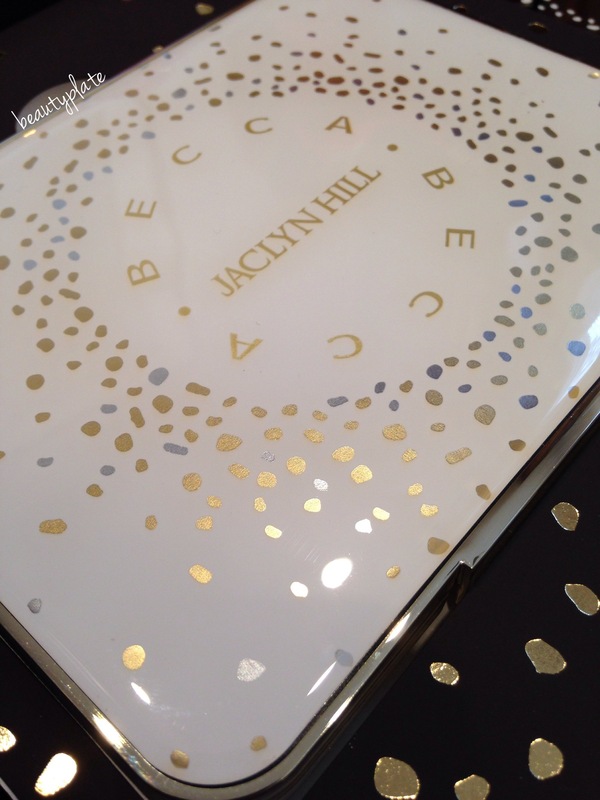 The BECCA Cosmetics Jaclyn Hill Champagne Glow Face Palette is now live on sephora.com and in Sephora stores for $52 valued at $136.